Kenya’s Health Ministry is planning to issue a directive to recall Unilever’s Aromat, a seasoning ingredient, from the domestic market. The decision comes after the National Assembly’s Agriculture, Cooperative and Livestock Committee found out that the product contains genetically modified (GM) content. Aromat’s labelling indicates that its ingredients include salt, maize flour that contains GM material and flavour enhancers, among others. Kenya had banned GM products in 2012 over health concerns. The government’s restrictions on GM maize have locked out major exporters like South Africa. An investigation team has been formed to probe whether Aromat contains acceptable levels of GM content. The team is being led by Kepha Ombacho, chief public health officer, who maintains that no GM products have been allowed in the country since the ban. Committee members have accused health officials of negligence on food surveillance leading to the availability of GM products in the market. “We will issue a circular to ensure that all Aromat is removed from the shelves. We work by doing general surveillance which is a continuous routine process and want to assure you that we will take action as per our mandate,” Ombacho told the committee members. Daniel Maanzo, member of Parliament from Makueni, also blamed advertisement. 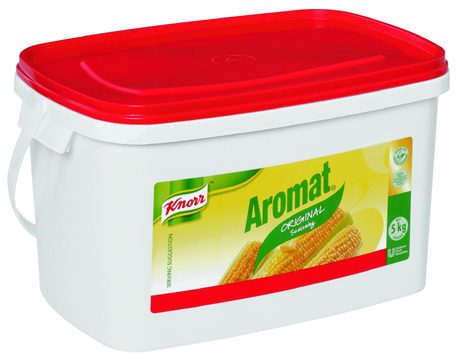 “It is unethical that broadcast advertisements promoting Aromat do not mention the availability of GM content,” he told a media house. Unilever is yet to respond.